Wanna Sloth Out on The Couch For a Couple of Hours - For a Good Cause? | Life Love and Hiccups: Wanna Sloth Out on The Couch For a Couple of Hours - For a Good Cause? Wanna Sloth Out on The Couch For a Couple of Hours - For a Good Cause? Ahhh Winter. The perfect time to curl up on the couch with a hot cuppa, some trashy TV and a pair of knitting needles in your hand. There had to be some upside to all the sucky cold weather we have been having lately. I so don't do winter well. I'm totally a lay by the pool with a Caprioska kind of gal and I make no apologies for it either. I can however be tempted to hibernate away from the world for a couple of hours knitting my little heart out , especially if it is for a good cause. Spend hours slothing on the couch knitting? For a Good Cause? You can waste those hours away knitting with the added benefit of a clear conscience cause you would be knitting something warm for kids in need. The Guardian Angel Knitting Program in association with Save the Children are encouraging you to get knitting this winter to make something warm for kids that need it the most. Whether you are a novice like me, or a true Knitting Ninja, it doesn't really matter. Everything from a basic scarf to a cosy jumper would be warmly welcomed. If you want to use this as an excuse to finally learn to know - go for it, its perfect timing. Check out the links to knitting tutorials on You Tube on this post I wrote earlier this year. It has easy peasy videos for the beginner to learn how to knit. 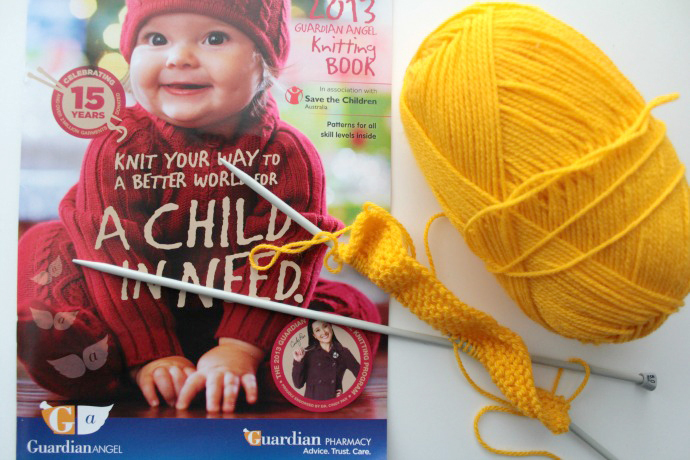 You can pop into any Guardian Pharmacy and pick up a free pattern book with more easy step by step instructions. Get knitting and then drop your special donation back into a Guardian Pharmacy by the 31st of August and know you have done a really really good thing for our Aussie Kids. 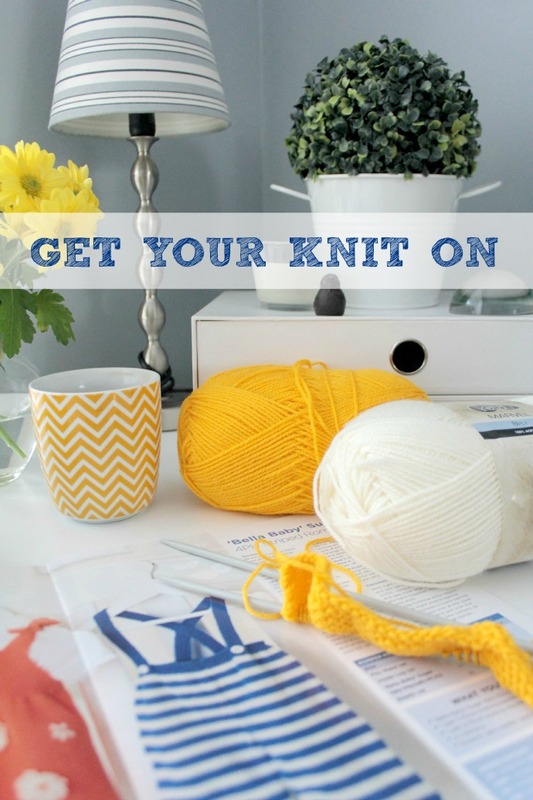 Are you ready to get your knit on? *This wasn't a sponsored post, just a good cause I wanted to support. Oh alright then AND I wanted to justify to my family why I NEED to sit snuggled up on the couch and knit for hours on end.